The Managing Director /CEO, Niger Delta Power Holding Company Limited (NDPHC) Mr. Chiedu Ugbo said the Ikot Abasi 330/132kv,3x150MVA substati.on would be completed in twelve months’ time. Ugbo gave this assurance when he led NDPHC technical team on the inspection of the project in Akwa Ibom state pointing out that few things that need to be done have been identified and necessary approval sought to progress the work. According to him, the contractors will soon return to site as funds would not be a major hindrance to move the protect forward. The NDPHC boss who commended the technical team on the progress recorded on the job stated further that the management is committed to project delivery in line with the Federal Government determination to give power to Nigeria. 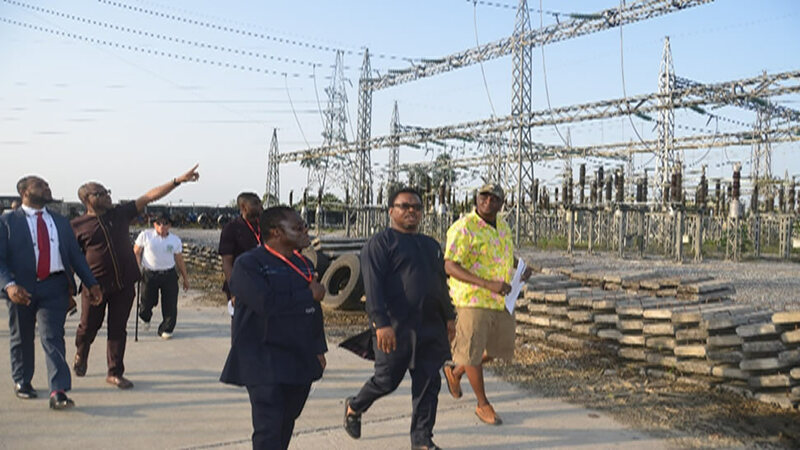 The Transmission sub- station, the largest in NDPHC projects is being designed as power evacuation facility for power generated by the Ibom Power station, Alscon Power station as well as the Qua Iboe power plant of ExxonMobil in Eket. The Managing Director also expressed optimism that the DISCOs will pick enough load to be able to utilise any stranded power in the network. NDPHC he said is intervening in construction of more injection distribution projects as part of strategy to enhance electricity consumption thereby resolving stranded power. This strategy will also help to put the power stations to maximum use and despatch. NDPHC also constructed a 330/132kv switching station in Ikot Epkene, in Akwa Ibom state. The project was commissioned towards the end of 2016 by the Honourable Minister of Power, Works and Housing, Mr. Babatunde Raji Fashola, SAN. NDPHC constructed about six injection distribution substations of various capacity in Akwa Ibom state along with completely Self-Protected transformers (CSP).